When an artist has a lot of success early on in their career to the point where they eventually achieve iconic status, they can usually spend the twilight of their career touring around the world because their timeless brand of music will always be in demand. 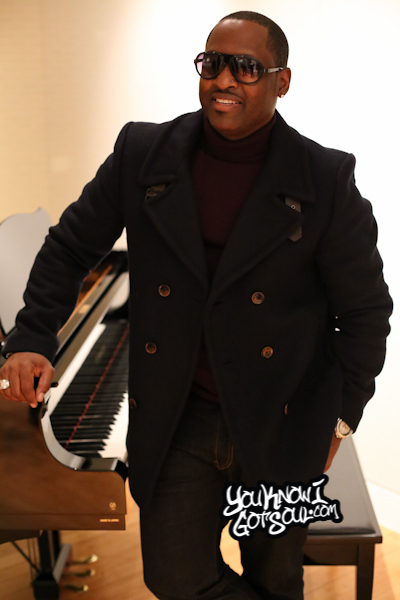 Johnny Gill is a perfect example of that type of artist. He achieved great success as a solo artist and then as part of legendary group New Edition, yet he hasn’t had a release in over 15 years; and he’s still relevant as ever. His career has actually been pretty lucrative over that period of time by simply doing what he enjoys most, touring and performing in front of live audiences. In fact, as you will read in his interview, he’s surprisingly not a big fan of the recording studio and also had no idea his fans wanted another album from him! 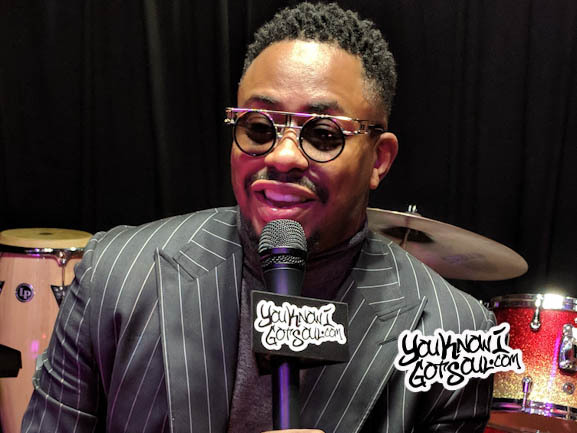 YouKnowIGotSoul caught up with Johnny to discuss this new project “Still Winning”, how he knew this was the right time to make a return, the status of New Edition, advice he could offer to the younger generation of r&b, his experiences now working on an independent label, and much more. 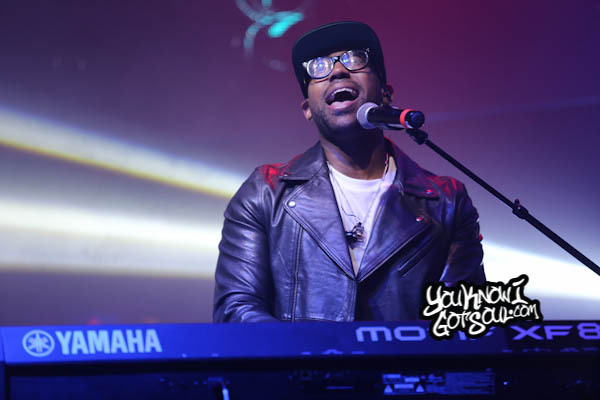 YouKnowIGotSoul: You’re preparing to release your new album “Still Winning” pretty soon. Since you haven’t released a solo album in so long, how did you know this was the right time to get back in the studio and start recording again? 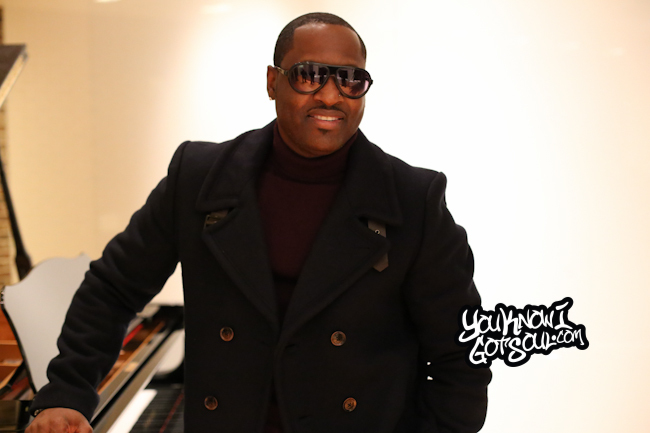 Johnny Gill: You never really know. So many people have been asking me over the years when I’m going to record again. I just honestly wasn’t in the recording state of mind due to the nature of the business and how I could see it in the beginning when it started changing. I’ve been fortunate to be able do what I do and to not record for a living, but perform for a living. It’s a blessing to be put in a position to have an opportunity to take it or leave it. I never want to and never will and never plan on compromising what I do. I take my art very seriously. I’m always in a place and a position to do what feels right to me, and that is to allow my fans to always consistently get the best quality of work that I can possibly give them. The business has changed so much and it’s not so much about the artist now. It’s more so about the people that are running the day to day in the office, they want to be the stars more than the stars themselves. It can be discouraging but at the same time, it’s a blessing for the years I’ve been in the business to be able to do what I do and have a good time performing which is what my strength is and what I enjoy doing the most. I’ve been blessed. I’ve been put in a great position. YKIGS: You just mentioned that you never want to compromise your art and also that things have changed a lot since you first came out and over the years. 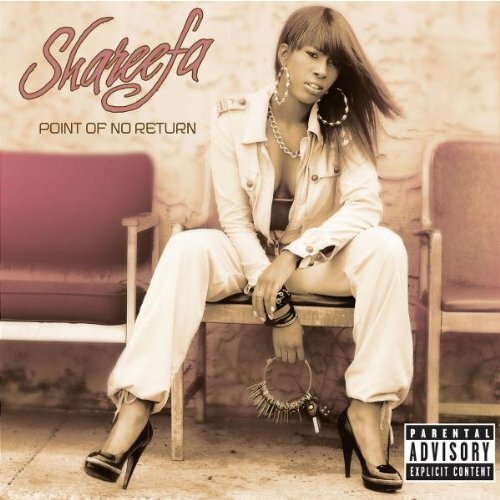 What do you think you bring to the table currently that could appeal to the new generation of R&B fans? JG: All I know is I continue to do what I do and stay in my lane. I do what feels right to me. At the end of the day, I love all types of music and I’m always open to trying different things. At the time, I don’t want to shine away from who I am and walk away from what has got me to this point in my career. It’s a fine line you have to walk there, but I don’t know what I brought to the table differently besides the fact I brought myself being who I am and what feels right to me. My attitude is to just let the chips fall where they may at that point. YKIGS: How did you decide what producers you were going to work with on this album? 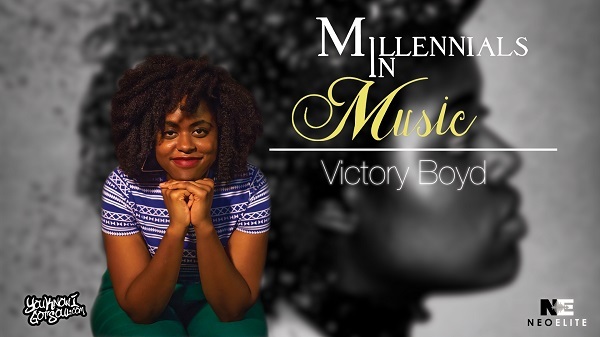 In the past, you’ve worked with icons like Jimmy Jam & Terry Lewis, Babyface, LA Reid. When it was time for this album, how were the decisions like with who you were going to work with? JG: I don’t know if we sat down and actually really made an honest conscious decision as far as who we were going to work with without really aiming on any particular producers. We just reached out to different writers and producers and wanted to try to get great songs. Great songs are what my whole focus has been about with this CD. It’s just good music. We have Jimmy Jam & Terry Lewis, Bryan Michael Cox, Troy Taylor, Wyclef, myself, Dave Young. We had some great producers and musicians and writers and we went just by how the songs and the music felt. That’s how we were able to come up with what we did as far as this great body of work on this new CD. I think that was the best way to approach this after coming back after 16 years. Just timeless music, no matter where they come from. YKIGS: You mentioned coming back after 16 years. What’s the biggest challenge in getting back into the studio and recording a new album? YKIGS: What made you decide to go with “Still Winning” as the album title? JG: A lot of people have asked me over the years “What are you doing now? Are you still singing?” and It’s like “I’m all over the world. I’m performing it and been doing it 16 years without a record.” I heard so many things that were said that weren’t true and you go “Wow I’m over here minding my own business and feeding my family, and people constantly are throwing rocks at you like what the hell!” It’s one of those things that I never had an opportunity to do in my music is to address that I’ve been around for 30 years of my career. No matter how you chop it up, God has blessed me to be able to do what I do and have the opportunity to present myself and giving more music out to the world. I’ve been able to do this for 30 years and no matter what you say I’m still standing, I’m still here. In a nutshell, as long as God continues to give me the gift to do what I do, well then guess what? I’m still in the game and I’m still winning. 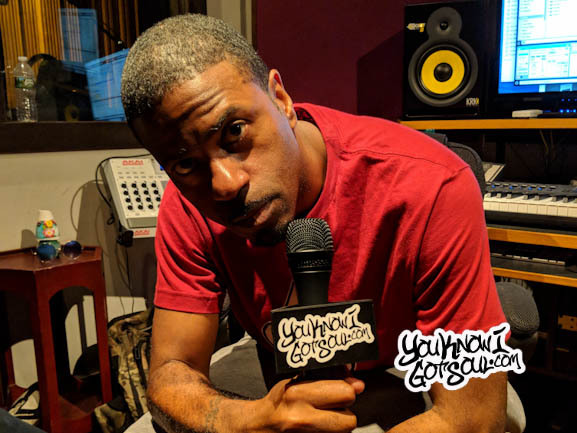 YKIGS: Throughout your career, you put on your albums on major labels like Atlantic and Motown. Now you’re on an independent label. Have there been any major differences that you’ve experienced? JG: Well yeah, but there are differences you experience with major labels or any label. It’s a business where it’s about creativity and I think as an artist after 30 years, I have an ideal of who I am and what I want to do and where I’m trying to go. I think you can always have to a degree when it comes down to labels, it doesn’t matter where you are, you’re going to have creative differences in some ways. It’s not a bad thing; it can be a healthy thing. It’s just a matter of understanding that as an artist that’s been around for many years, you can be respected for what you’ve been able to accomplish. When you look at the track record and seen where I’ve come from and what we’ve been able to achieve over the years, it simply says I have an idea of who I am and where I want to go and how I want to continue to deliver my art. YKIGS: You’ve been in multiple groups throughout the years like New Edition, LSG, Heads of State and also have done a duets album. Is your creative process much different when you’re doing a solo album as compared to a group? JG: Oh yeah, totally different. You get to make the decision on the songs you want to sing and what you feel is best and not have to worry about others that you have to take into consideration. That’s the reality about the life of the business we’re in, but it’s not a bad thing. It’s just in some ways or some forms, it can be a little taxing because it’s a lot easier making a decision for myself than making a decision for others. 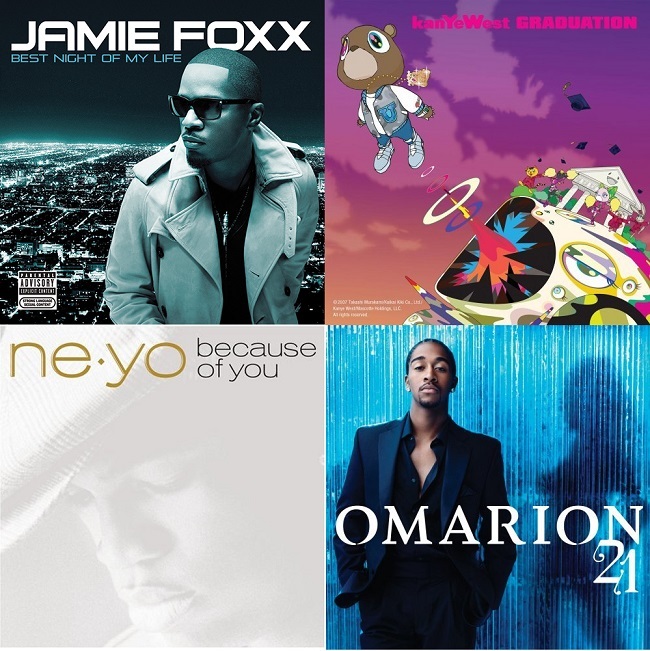 YKIGS: Earlier we talked about the climate of r&b and how it’s changed. I don’t know if you listen to the radio and hear what’s currently out there in r&b, where the music is a lot more commercial and true vocalists have been pushed to the back. As a legend, could you offer some of the current R&B acts who are maybe gimmicky or commercial some advice on how to have a prosperous career like you have? JG: If I knew and had the secret to that, I would be a billionaire. *Laughs* Unfortunately, I don’t know if there’s a secret to it. It’s one thing to be true to who you are and it’s another thing to even as an artist who has been in the business for 30 years, I still have to open my mind and respect the fact that when you deal with the music business, it’s a form of art. Just because I like a certain type of art doesn’t necessarily mean everyone will like it too. I have to respect that. That’s why I try to keep my mind open to enjoying and listening to music from all over the world because it’s not just my music that’s the right way and that it’s the best music. People just have different outlooks and tastes when it comes down to music. The person that I look up to and idolize is Stevie Wonder who is such a unique musician and one of the greatest artists that has ever done it. He never closed himself off to and stayed in one genre. When you listen to his body work, it goes from Reggae to Calypso to all types of styles he enjoyed doing. He would do what felt right and good to him. Those are the things that keep you open and fresh and be able to come up with new ideas and not get jaded into believing there’s only one way to do things. For me, I just do with what’s comfortable with me and where I can best be effective and stay in my lane. I love all types of music and respect all types of artists. I really genuinely do. YKIGS: Can you touch on the status of New Edition and if you guys plan on recording another album? JG: We will in the future. I think we’ve all been quite busy doing some other things and continuing to do what we need to do with our careers individually. At some point, we will come together as New Edition and continue to keep that ship moving which is the mother ship for us all. 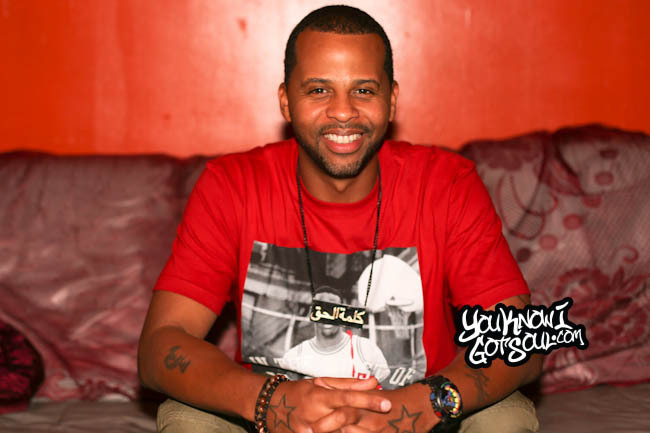 YKIGS: What do you see as the legacy of New Edition? There’s been so many groups haven’t been able to stay together. You guys have stayed intact even though you guys have had your hiatuses here and there. JG: We have internal problems like every other group . Being in a relationship is tough. We all know that if you’ve been in a relationship. It’s not a piece of cake. It’s not easy. It doesn’t matter who you are or what you do. It’s a lot of work, so imagine If two people in a relationship can be tough, imagine when you’re in a relationship with four or five others that you have to deal with on a regular basis and have dealt with for many years of your life. The only thing that becomes is a saving grace is that there has to be some genuine level of love that you have that allows you to stay together. They say “Love Conquers All” and I believe that in a lot of ways with a lot of things whether it’s in the business you’re in or the people you love. It comes down the fact that it has to be real. When I look at LSG, New Edition, Heads of State and what I’ve done with myself, with Stacy Lattisaw. It’s building a body of work and being seen in different genres whether it’s plays or music, all those things of being successful and build a body of work that’s written in stone and can’t be erased. What I want people take from me as an artist. If you want to consider me a legend, it’s just the fact that I’m constantly moving and putting myself in a position to figure out what I can do to continue to grow and add to my body of work. YKIGS: You mentioned Stacy Lattisaw and I know you did a duets album with her early in your career. I always wondered, how come we don’t see those type of albums anymore these days? Do you have an opinion on why more artists don’t collaborate like that over a full album? JG: Interesting. I just think times are changing. People, just like sounds, change. It goes in cycles and it’ll eventually come back. Somebody will eventually make an impact doing it and there will be some others that will follow and it will become the next trend. I think that’s just how music is. Every now and then there will be a boy bands era, a solo era and then a duet era. It all goes in cycles. YKIGS: I know you were pretty close with Gerald Levert. What kind of impact did he have on your life and your career? JG: To this day, I might be the last of the Mohicans who hasn’t been able to be healed from the loss of him. He was a very close friend and my brother. I’ve had a lot of losses but that one has been one of the toughest in my 45 years of living. We started out around the same time and he was one of my closest friends in the business. Not having him around was just really hard and it’s been a bit of adjustment and one I haven’t really been able to adjust to. JG: I’m thankful and to all the fans that have supported me in my 16 years I was absent. I am just flabbergasted by the response and the support with this new single and new album. I am so grateful and I take nothing, no one, none of this for granted. Johnny you are among iconic entertainers ever, stop having doubt and just continue to do what you do because you do it above excellent, your fans will always Always want you to record and perform, I have everything you ever did and believe me when I say in my home its priceless, my kids laugh all the time, you can come in my house and take everything but you better not touch my Johnny Gill….hehehe and thats real talk, we love you Johnny and pray God bless you the more. Keep putting it down and do what you do best… love Ya! I was driving down I-85 a week or so ago and I drove past a SUV and a billboard, both of which had your face all over it!!! Luckily I didn’t crash cause you looked so GOOD!! The sign said you were going to release your new album October 11, 2011. Of course I went to my archive and I’ve been listening to your music ever since, even right now. I am so excited. I hardly ever listen to the radio, so I hope you tweet of FB so I can keep up. I saw you in New Edition Concert years ago and you know you stole the show when you did your solo work. I would love to see you in another New Jack Swing concert, call Teddy, Keith, Joe all ‘yall’. You got much LOVE; so You be You and I will be there!